Who isn't a lover of skin care these days? Keeping it healthy and moist keep's the skin barrier strong. When skin becomes dry or irritated cracks and discomfort in the skin occur's and can make you prone to infection. All skin types are different meaning some people need to invest in more or different kind's of skin care than other's. If you want healthy youthful looking skin years from now, the choices you make will help that happen. Preventing skin problem's is much easier than trying to fix skin issues in the future. Looking and feeling your best is proven to make you feel confident in yourself and investing in a daily skin care routine can also develop better health habit's in other areas. 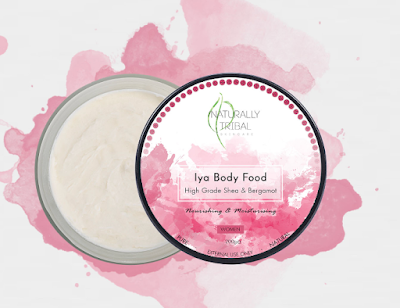 I was asked to review Naturally Tribal's skincare product's which are mainly body butters and exfoliaters described as 'Ancient Remedies for Today's Families'. 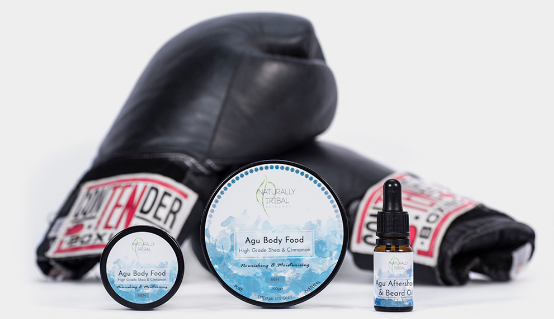 The brand was created in 2014 by a mother who's son suffered with severe eczema and was cured within three days with her product's created from natural ingredients with Shea butter as the main base.The ingredient's used are all purely natural and imported from Africa and manufactured in the UK. The product's are aimed at families to cater for men, women and children. Their brand ethos is built on valuing healthy, ethical and sustainable living. My family and I suffer with eczema so I was more than happy to try out the product's myself. I think the concept of the product being for the family in a 'family box' is really sweet and useful for having all the families skin care in one place. If you wish to buy the product's separately there is also that option, I was just lucky enough to try out the family package, which is presented in a beautiful wooden box. IYA for the women's range, which means 'Mother'. It represent's strength, femininity, beauty and a queen. AGO for the men's range. It represent's strength and masculinity. YARA for the children's range. It represent's love, sensitivity, care and protection. IYALI is the family range. It represent's love, safety, protection and home. Described as The soothing, healing, protecting and enriching properties of Shea butter and carefully selected essential oils is brilliant for re-hydrating and nourishing your skin. Works as a barrier and skin food, for all skin types. Soothes tender and intimate areas post shaving or waxing. The soothing, healing, protecting blend is perfect for irritated skin, razor bumps and rashes. Is the same as the women's shea butter body food but for men. Re-hydrates and nourishes skin. The smoothing and moisturising dual purpose oil contains a blend of shea and essential oils to soften, protect and hydrate the skin under the beard, also perfect for an after shave oil. Simple nourishing and moisturising blend ideal for dry and flaky skin. Work's to sooth and calm sensitive skin, and is a barrier and skin food. Below is the kids body butter in green. Bitter Kola Scrub - Exfoliates and cleanses the skin. Use for a rejuvenated, smooth, protected glowing healthy skin. Body Polish - Shea butter based exfoliant which removes dead skin for a fresh and moisturised finish. Antioxidants repair cells caused by free radicals, exfoliates and smoothes and is gluten free. Ideal for sensitive skin. 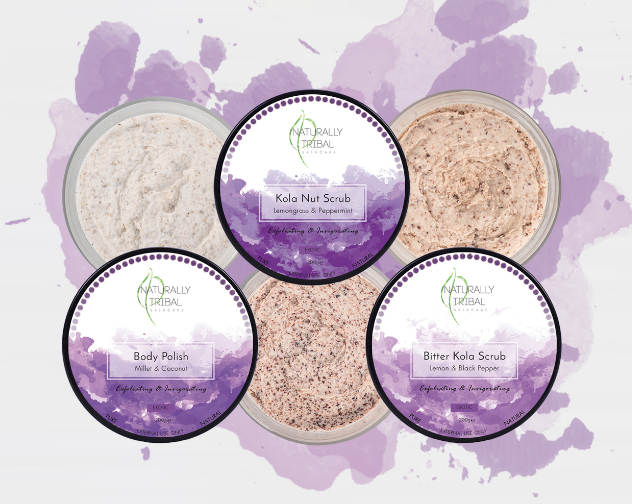 Kola Nut Scrub - With a natural high caffeine content, this scrub cleanses and removes dead skin for a soft and smooth finish. This scrub supports blood circulation leaving a fresh feeling. I thoroughly enjoyed these products and the best way to describe them is having a luxury Spa inspired feel to them. The textures on your skin are beautiful once applied and they smell sensational. If you want to try them out I would advise a body polish if you like a moisturising feeling or a scrub if you like an exfoliater. All of the product's mentioned are suitable for all skin types, are fully natural ingredients and are for external use only. Well these products are looking awesome.If you are looking for Facelift Surgeon, then you can contact calwestent.com for further details.